The incomparable Restoration Concert Series returns to South Pasadena on Sunday, April 21 at 4:00 PM. The number of concerts that have been held at the Community Room at the South Pasadena Public Library have drawn hundreds, with the allure of world-class musicians performing in an intimate location at an affordable price. 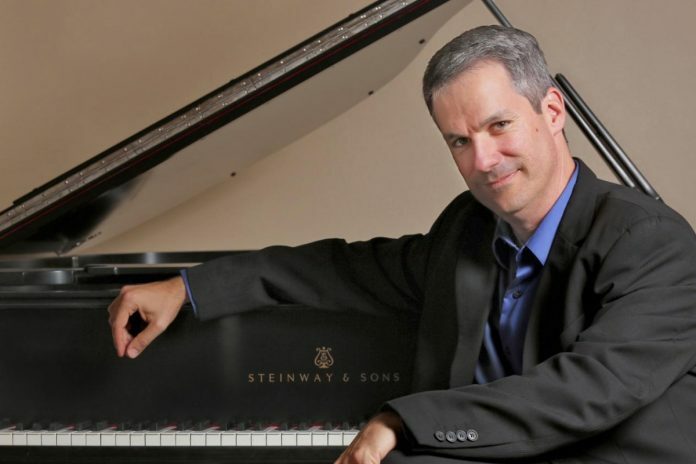 The featured artist is Robert Thies, a master pianist and soloist who was an incredible repertoire as a touring, recording, and active musician. In Los Angeles, Thies has worked and recorded with top studio musicians as well, including film composers James Newton Howard, James Horner, Danny Elfman and Lalo Schifrin. Mr. Thies’s work as an orchestral soloist, recitalist, and chamber musician has lead him to perform with orchestras such as the St. Petersburg Philharmonic, the National Symphony of Mexico, the Auckland Philharmonia, and the Naples Philharmonic. His concerts have been broadcast throughout the United States, Russia, Estonia, Latvia, Hungary, Mexico and New Zealand. In Los Angeles, Thies has worked and recorded with top studio musicians as well as with film composers James Newton Howard, James Horner, Danny Elfman and Lalo Schifrin. Mr. Thies is also sought after as a master class teacher, chamber music coach, lecturer, and adjudicator across the globe. He has also worked as a repetiteur for productions of Mozart’s Cosi fan Tutte, and Puccini’s Madame Buttefly. Mr. Thies is a Steinway artist.